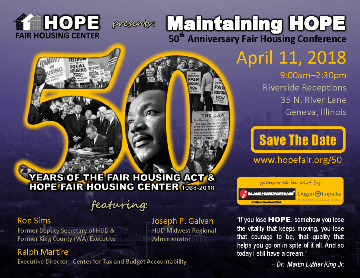 Welcome to Maintaining HOPE – a half day conference and luncheon to commemorate the 50th Anniversary of the Fair Housing Act. 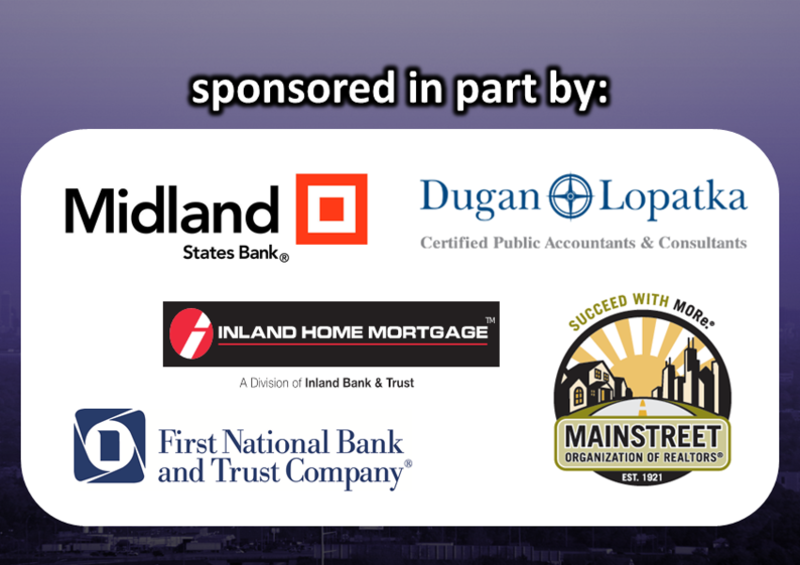 This year we are honored to celebrate HOPE’s 50th anniversary year with this event. While we have increased opportunity and housing integration in this country in during the past 50 years, it is clear that we still have much to accomplish to achieve truly fair housing in every community. Maintaining HOPE will provide you with practical actions you can take to ensure fairness in your own community. The morning will begin with a brief history of the Fair Housing Act and a keynote by Joseph P. Galvan, Regional Administrator for the Department of Housing and Urban Development Region V. Mr. Galvan was previously Regional Administrator from 2001 to 2009. Prior to rejoining HUD, Mr. Galvan was a principal with Galvan & Associates advising housing authorities on program performance, compliance and executive management issues. He was previously the owner and president of his consulting firm and directed various planning and economic development projects for private and public-sector clients. Mr. Galvan also served as Community Development Director and Community Development Planner for several municipalities in Northeast Illinois. After the plenary opening session, we will have two break-out sessions for three different tracks. Each session is designed to provide you with tools to make concrete change to increase fairness and opportunity. Track One will include “Persuasive Messaging: Promoting Fair Housing in the 21st Century”. The narrative framing lessons provided in this session will be useful to any issue. This session will be followed by “Community Engagement: How to Effectively Bring Every Voice” and is also useful for any issue you want to engage around. Track Two will include “Fair Housing Legal Updates & Hot Topics” where experts will discuss today’s legal challenges. Track Two will be Part I and Part II, separated by a break. Track Three will examine the benefits of using a Racial Equity Analysis tool for both community planning and local organizations. Examples will be given on how the tool has been used locally by Chicago United for Equity (CUE). Track Three will be Part I and Part II, separated by a break. At the luncheon, we will show a short video, which depicts how past policies continue to impact us today. 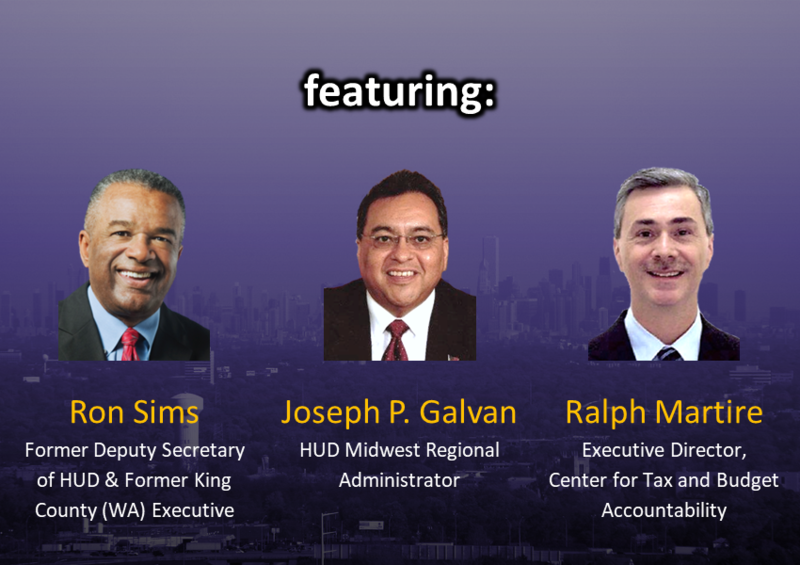 Then we will hear from Ron Sims, former Deputy Secretary for Community Planning & Development at HUD and former King County (Washington) Executive. Mr. Sims wrote an Op Ed, featured in the Seattle Times, which led to the adoption of a King County Equity and Social Justice Ordinance. He has been a consultant for jurisdictions around the country, leading the way toward truly affirmatively furthering fair housing in local communities. Our second luncheon keynote will be given by Ralph Martire, Executive Director of the Center for Tax and Budget Accountability, a non-profit, bi-partisan research and advocacy think tank committed to ensuring that tax, spending and economic policies are fair and just, and promote opportunities for everyone, regardless of economic or social status. Mr. Martire has studied the Illinois budget and financial position for years. He has proposed solutions to fix the debt in Illinois, which would lead toward more equitable funding. This half day conference is designed to provide staff and elected officials of local jurisdictions, non-profit agencies, housing providers and community residents with practical tools to achieve fair housing compliance. 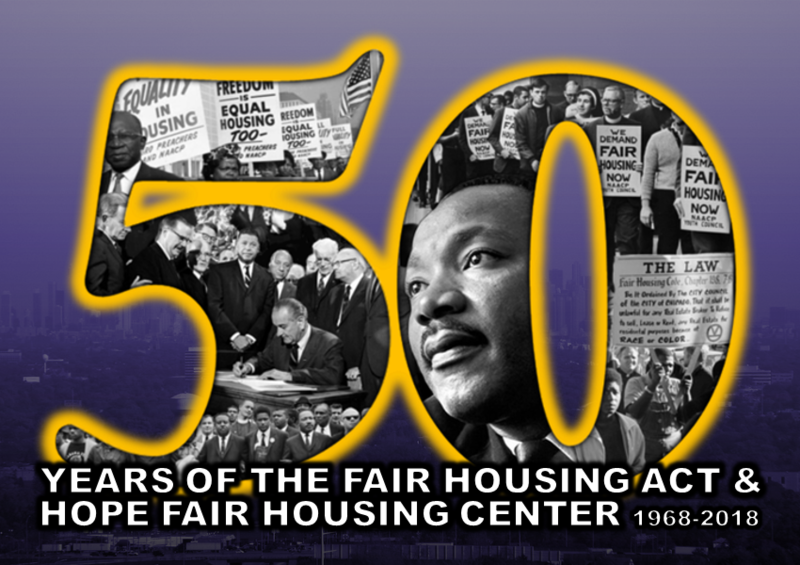 We hope that you join us in working towards achieving the goals of the Fair Housing Act! – Dr. Martin Luther King Jr.
Riverside Receptions (35 N. River Lane, Geneva, IL 60134) is about a 40 mile drive from Downtown Chicago and about a 0.7 mile walk from the Geneva Metra Station of the Union Pacific West (UP-W) line. If you are riding the Metra to the conferece and need assistance with transportation from the Geneva Station, please indicate that when you complete the registration form. Sign-up for email updates below if you want to be informed of future events. The materials appearing on this website are provided for informational use only, and are in no way intended to constitute legal advice or the opinions of HOPE Fair Housing Center or any of its staff. Legal information is not the same as legal advice, which is the application of law to an individual's specific circumstances. The information on this website is not a substitute for and does not replace the advice or representation of a licensed attorney. © 2017 HOPE Fair Housing Center. All Rights Reserved. No photographs of murals on this website may be reproduced without express written permission of Bernard J. Kleina.